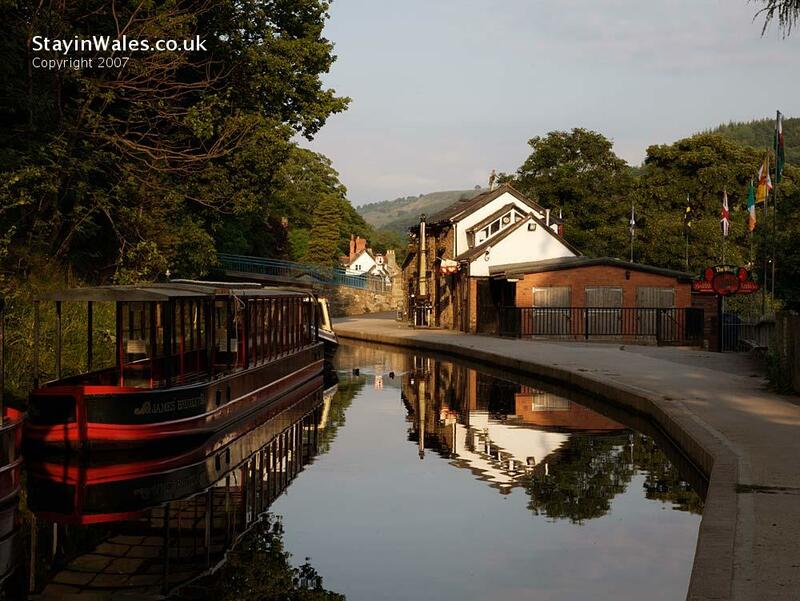 A tranquil evening scene at Llangollen Wharf. The moored narrowboat is used for horse-drawn trips along the canal feeder. Trips can also be taken from here across the famous Pontcysyllte Aqueduct, where the canal crosses the valley of the Rive Dee.